Every Tuesday at 10:00 a.m. we have an hour of fun for those little ones that are not yet in school. Early literacy events are planned, there’s songs and games, crafts and fun playing with big Legos. The Legos are out and children and adults of all ages are welcome to come have some fun making Lego creations. Some are used in displays in the library – sometimes there are contests and always there is fun for all! Thanks to a grant received from the State Library (a sub-grant from LSTA) in 2014, the library was able to purchase a PS4 gaming system. We are slowly building a collection of games and welcome any donations to help us provide this activity to the children. We are also collecting board games, card games, etc. for all ages to play – including Adults. Each year the Library has a summer library program for area children – all ages. A separate post outlining the program and theme will be provided in early May. Each year, the Library celebrates books written just for teens during Teen Read Week. Usually held in mid-October, teens are encouraged to vote for their favorite book and stop by the library during this week for special events. 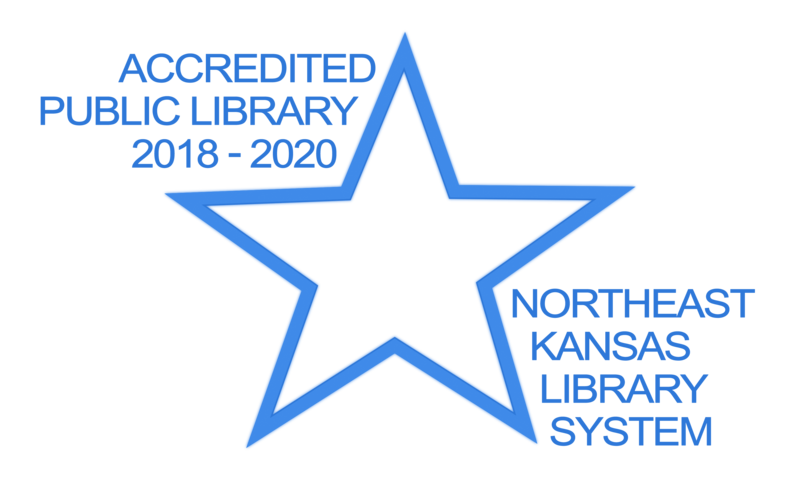 Each year the State Library of Kansas and the Kansas Center for the Book select a book for the Kansas Reads to Preschoolers Week which is usually celebrated during the third week of November. The library typically will have the selection in our collection and will host a special story time for the event.